Pioneering online rendering and collaboration service Lagoa is to close. Rendering functionality will be turned off on 22 December 2017, and the Lagoa.com website will be taken down on 2 March 2018. The firm describes itself as now being focused on development work for current owner Autodesk, and unable to give the original online service “the love and attention it needs”. Launched in 2011, Lagoa was one of the first tools developers to embrace a purely cloud-based workflow. Users – primarily CAD and visualisation artists – could upload models in a range of standard file formats, and assign materials and view interactive renders from within a standard web browser. It was a vision that chimed with that of Autodesk, which acquired the company in 2014 with a view to accelerating the development of its own cloud-based services. 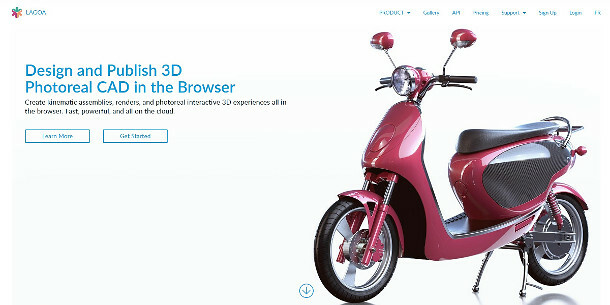 Users looking for a similar service are directed to Autodesk’s Fusion 360 platform, which offers similar browser-based rendering functionality.